Gift idea for emergency rescue or medical industry. 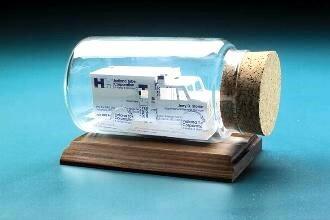 Ambulance drivers, EMTs, doctors, paramedics and nurses will be delighted when presented with this unique personalized sculpture made from their own business cards! Use it to honor someone or simply to say thanks in your time of need.